NSW Greens energy spokesman Jeremy Buckingham today said the recommendation by the Department of Planning that the proposed western Sydney waste to energy incinerator be refused was a huge win for the residents of western Sydney and the lungs of all the people in Sydney. He called on the government to back the Greens bill to ban such incinerators within 15km of residential areas to secure clean air into the future. “Based on the advice of the EPA, NSW Health and the Independent Experts, the Department’s assessment of the application concludes the proposal is inconsistent with the NSW EPA’s Energy from Waste Policy Statement (2015), the air quality impacts and risk to human health is unknown, the development is not in the public interest and should be refused. “The government should now back the Greens Environmental Planning and Assessment Amendment (Waste Incinerator Facilities-Residential Exclusion Zones) Bill 2017 which will ban large waste to energy incinerators within 15 kilometres of residential zonings. “I’m pleased to see the decision to hold a public meeting rather than a public hearing as part of the Independent Planning Commission’s assessment process, as a public hearing would have extinguished a merits review in the courts. The NSW Greens have moved a bill in NSW Parliament that would ban waste to energy incinerators within 15 kilometres of homes and schools and are hoping for support from both the government and the Labor party. The Environmental Planning and Assessment Amendment (Waste Incinerator Facilities-Residential Exclusion Zones) Bill 2017 would effectively stop Mr Ian Malouf’s Next Generation waste to energy incinerator being built or any similar facility. Greens Energy spokesperson Jeremy Buckingham gave the Second Reading speech last Thursday. “Locating such a significant source of pollution in the heart of western Sydney should not be a decision left up to planning technocrats. It is a political decision that should be made by the parliament,” said Greens MP Jeremy Buckingham. “I have put this legislation into the parliament to put words into actions. MPs from all parties have expressed their opposition to the incinerator, now it’s time to use the power of the parliament to act. “The bill will progress when parliament resumes in February next year. The Labor Party has expressed support and the Premier has indicated she will consider such legislation. 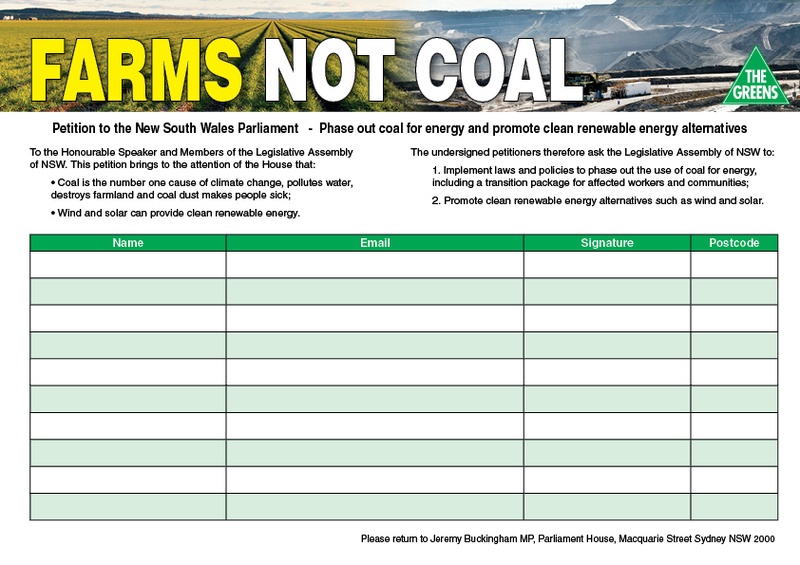 Mr JEREMY BUCKINGHAM: I am pleased to introduce this bill on behalf of the people of Minchinbury, Erskine Park, St Clair, Colyton, Mt Druitt, Penrith, Horsley Park and Western Sydney who oppose a big, dirty, polluting garbage incinerator being forced upon their community. Let me be clear, the Environmental Planning and Assessment Amendment (Waste Incinerator Facilities-Residential Exclusion Zones) Bill 2017 stops the Eastern Creek garbage incinerator. This is a bill that puts people’s health before profit. This is about the elected representatives of the people of New South Wales taking responsibility and not subjecting the people of Western Sydney to the vagaries of the planning system. Whether or not this incinerator goes ahead is a political decision. We can stop this incinerator today. This is a decision for politicians and this bill stops the incinerator in its tracks. The Government can blather on about an independent, arm’s-length planning system, but we know that the reality is that the planning system in this State has no red lights and that with enough money, greased hands and so-called “independent reports”, any development will be approved, regardless of the impact on communities or the environment. I note that the proponent of this development is busy in Western Sydney bribing 1,000 residents with new solar panels if they go quietly into the night and accept the toxic waste incinerator in their back yard. I say to Ian Malouf that the people of Western Sydney will not take his bribe. They will not have this toxic waste incinerator in their backyard. 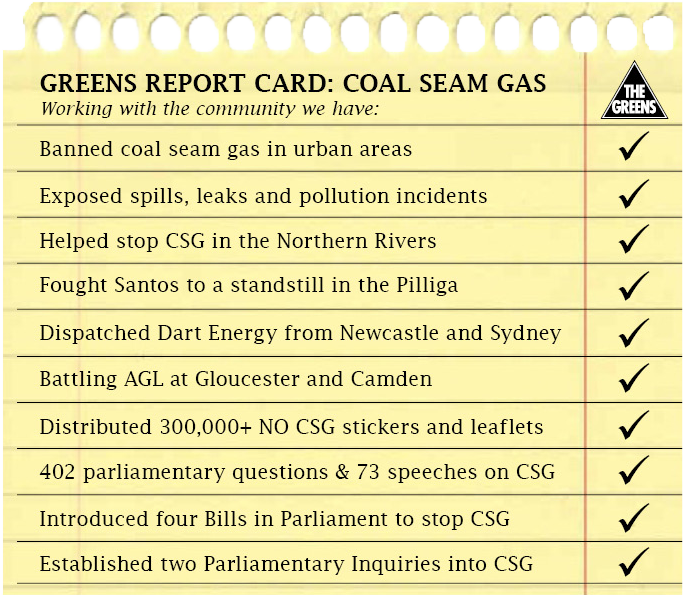 The Greens stand with all people in Western Sydney who think this is a dirty, toxic industry. It is a dirty, toxic move to try to bribe those people with baubles, mirrors and beads. It is important that we build a consensus around this issue. The Greens welcome the fact that Federal Labor is on board, but Labor is not the decision-maker; this Parliament is. This bill will stop the incinerator by preventing any waste incinerator facilities from being built within 15 kilometres of residential zones. The bill does not change the existing provisions for waste to energy projects that are currently permissible under the current NSW Energy from Waste Policy Statement. The bill simply bans incinerators such as the Next Generation proposal, which intends to burn plastic and industrial waste within 800 metres of homes and schools. Hundreds of thousands of tonnes of toxic industrial and commercial plastic waste will be burned in the heart of this great city. The Greens think this is absolute madness. If members of this place enjoy clean air, being free of asthma or living in the Sydney Basin, then they should take note, support this bill and stop this development. I am sure members have seen the stories run by Mr Chris O’Keefe at Channel 9 about this crazy proposal and the impacts it will have on people’s health and the environment. I thank Channel 9 for standing up for the people of Western Sydney. I thank Mr Chris O’Keefe for paying attention and shining a light on a development that was trying to sneak into an industrial area of Eastern Creek. Without the Fourth Estate paying attention and giving this issue the focus and attention it needs, this development may well have snuck through without the scrutiny that it needs. I don’t think that it is fair to the residents of Minchinbury, St Clair and Erskine Park to suffer increased pollution, increased traffic on our already overstretched local roads and financial loss on our homes for the benefit of TNG. Western Sydney should not be treated as a dumping ground and its environment and the health of its residents should be of the utmost importance to all of our Government representatives and should definitely outweigh any financial considerations. I have grave concerns regarding the location and impact on the environment and residents living in the surrounding areas. I am also concerned about the lack of infrastructure to support such a development, in particular the local hospitals, which will see increased presentations and admissions with respiratory related conditions. Western Sydney is already inundated with the smell of rotting garbage every night. We are not interested in adding to the already polluted air of this area with the world’s largest incinerator. You have already completely ignored the fact that we don’t want an airport in our backyard, polluting the sky and our drinking water. If you do put this incinerator within kilometres of primary schools, parks and homes, I can guarantee you will not be in government next election. My husband and I have lived in the area for over 50 years and we are disappointed, yet again, that the Government is determined to dump all its problems in Western Sydney. Do the decent thing and stop putting more pollution in an area that is a catch basin for pollution already. Profit comes before people’s health. It is time to change. People before greed”. I’m writing to you cause my family and I strongly objects to the go ahead to the incinerator, which is proposed to be built in Eastern Creek. My partner and I have purchased a house in nearby Minchinbury, which was hard enough in the world we live in today. We have the intention on raising a family here but if the incinerator gets built, we will be relocating, which will be a massive disappointment. The incinerator will be very visible from our property, let alone the noise and pollution that will be in the air around our family home. I really hope this rubbish idea gets rejected. Because of this incinerator, our kids and local people will get sicker and our water and air quality will get more polluted. Please don’t plant this incinerator next to our houses. Why is there so much secrecy about this issue? My Federal member sent a letter regarding this Government inquiry five days before submissions closed. My State member was very quiet on the subject until she came to a community meeting where she was given a very angry reception, and at that same meeting the Federal Member did not utter a single word regarding which side of the fence he and his party stands. “Energy from waste” is such a crock, especially to the residents around this proposed incinerator site at Eastern Creek. No one cares that these rubbish burners are used throughout Europe, Japan and USA, and they have been using them for years. The thing is, they are not building them anymore. 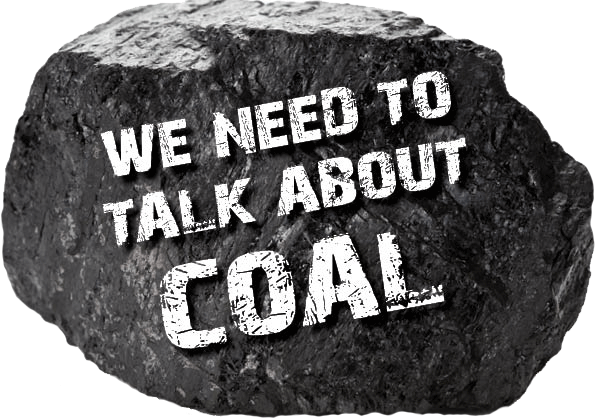 What will happen to the toxic fly ash? Where are they going to put it? This proposal should not be allowed to go ahead for the sake of our children. What sort of world are we going to leave them? It’s their future that has to be protected. I am strongly opposed to increasing the pollution in an already over-polluted area and also the massive increase in road traffic which will ensue. The people of Western Sydney already have to deal with horrendous traffic, pollution and the increasing odours emanating from the existing site at Eastern Creek. I have asthma and their is a high possibility that my children have inherited this from me, so to stay in an area where the air quality will be diminished is a health risk to us. You may say that its not that close to residential area but our house when you are in the top level (2 storey home) you can see the construction site, so we are in a directly affected area. I note that I am getting the wrap-up, so I will conclude by saying that The Greens will continue this fight until this incinerator is stopped. We will continue to fight for the people of Western Sydney because the Next Generation project is an absolute disaster. The air quality of Western Sydney and the health of the people out there will be affected. Millions of people will be breathing toxic, carcinogenic air—those are the proponent’s own words; it is the opinion of NSW Health—for a generation if this proposal goes ahead. We urge the Government to support the bill. We call on the Opposition to support the bill and put the interests of Western Sydney first—put the interests of hundreds of thousands of residents before the interests of Mr Ian Malouf. Support this bill, which will ban these types of facilities in residential areas and create certainty for members of that community. This is impacting their housing prices and their wellbeing. It will impact on the health of the people and destroy the amenity of an area that is already over-developed. This is an opportunity for the Government to support the bill and give the people of Western Sydney certainty. Members should back The Greens’ bill and send this incinerator packing. I commend the bill to the House. The PRESIDENT: I will now leave the chair and cause the bells to be rung at 2.30 p.m. 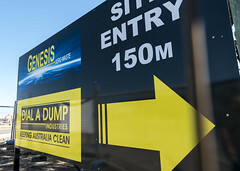 The NSW Greens will introduce legislation to the Upper House this morning that would prohibit locating large polluting ‘waste to energy’ incinerators within 15 kilometres of urban zonings, and would effectively kill off a proposal from Mr Ian Malouf’s Dial-A-Dump company to build the world’s largest waste incinerator on his land in Eastern Creek, only 800 metres from homes and a school in Minchinbury and close to homes in Erskine Park, St Clair, Colyton St Mary’s, Rooty Hill and Penrith, and only 5km from Prospect Reservoir which stores Sydney’s drinking water. The Environmental Planning and Assessment Amendment (Waste Incinerator Facilities – Residential Exclusion Zones) Bill 2017 will be introduced into parliament this morning by Greens MP Jeremy Buckingham. Mr Malouf’s has lodged an Environmental Impact Statement with the Department of Planning, but over 1,000 submissions were lodged objecting to the development, including from the Environmental Protection Authority, NSW Health, Minchinbury Public School and Hillsong Church. If approved it would cost $588 million to build the world’s largest garbage incinerator with a capacity to burn 1.34 million tonnes of waste every year to produce 137MW of electricity. Twin 100 metre exhaust stacks will spew out pollution including fine particulate matter dangerous to human health – PM10 and PM2.5; heavy metals including Mercury (Hg), Cadmium (Cd), Arsenic (As) and Chromium (Cr); chemical compounds including Hydrogen Chloride (HCI), Hydrogen Fluoride (HF), Carbon Monoxide (CO), Sulphur Dioxide (SO2), Nitrogen Oxides (NO2); and highly toxic organic substances such as dioxins and furans. “We should be improving air quality in Sydney, not creating a giant new source of pollution. “The Greens will introduce legislation that will prohibit waste to energy incinerators within 15 kilometres of urban zonings to ensure they are not located in inappropriate areas. “This incinerator will reduce recycling rates, spew out air pollution and impact on the health of residents in Western Sydney. “With thousands of trucks delivering over a million tonnes of waste to be burnt each year, there is no certainty about what chemicals and particles will come out of the exhaust stacks – which is why the EPA and NSW Health object to this proposal. “It’s the government’s role to step in and protect the lungs of Western Sydney. Whether a giant waste incinerator is built only a kilometre from homes and schools is a decision for the government and parliament, and cannot just be left to planning bureaucrats. A public meeting will be held on the incinerator proposal at 7 – 8.30pm Thursday 13 April at the Erskine Park Community Hall, 57 Peppertree Drive Erskine Park. A social media video on the incinerator is available for download here and on YouTube here. 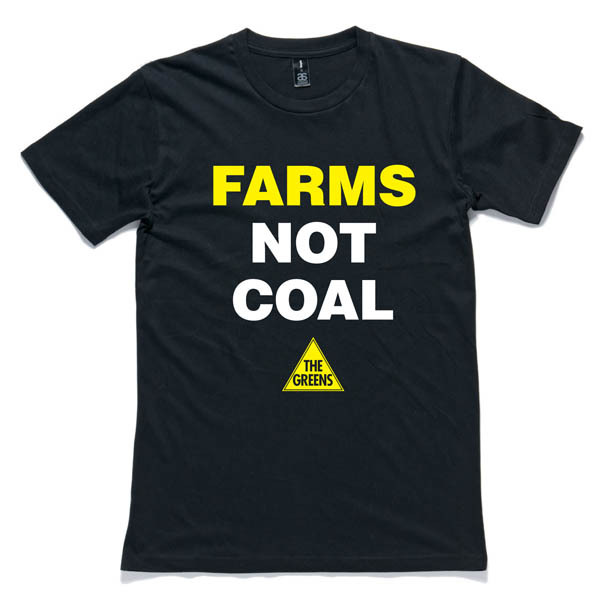 The Greens NSW mining spokesperson Jeremy today declared that the Greens, farmers and the community had won the debate over coal seam gas over the last four years saying the industry had been stopped in its tracks. He cited Santos’ announcement yesterday that they would not proceed with the Narrabri coal seam gas project until the “back end of the decade”, as well as the expiry today of the Memorandum of Understanding (MOU) between the NSW Government and Santos to fast-track the Narrabri coal seam gas project. In February 2014, the NSW Government signed an MOU with Santos declaring the Narrabri gas project a ‘Strategic Energy Project’. The MOU included a timeline in which Santos were due to lodge their Environmental Impact Statement (EIS) on 30 June 2014, and the final planning determination was to be made today, 23 January 2015. Santos have still not lodged their EIS and the final determination date has now passed. 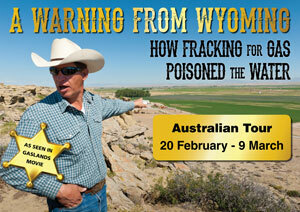 “The Greens, farmers and the community have won the campaign against coal seam gas. The community are informed and dead set against fracking, and the industry has either packed up and left NSW, or their projects are at standstill,” said Greens MP Jeremy Buckingham. 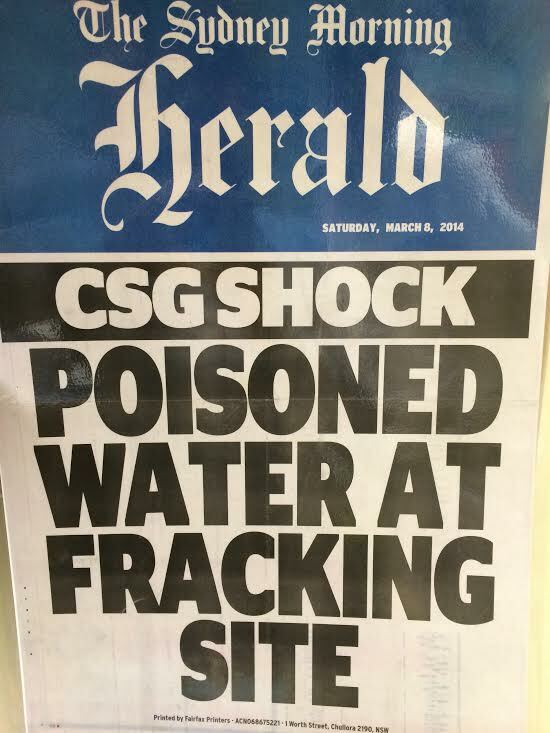 “When the Coalition took office in March 2011, coal seam gas was set to roll out in the suburbs of Sydney and Sydney’s drinking water catchment, across the Hunter Valley, at Gloucester, throughout the Liverpool Plains and up to Moree, as well as in the Northern Rivers, Mid-North Coast, Newcastle, and Southern Highlands. “After four years campaigning the industry is now banned in urban areas, has been crushed by strident community opposition in the Northern Rivers, and even the giant Narrabri project has fallen over. 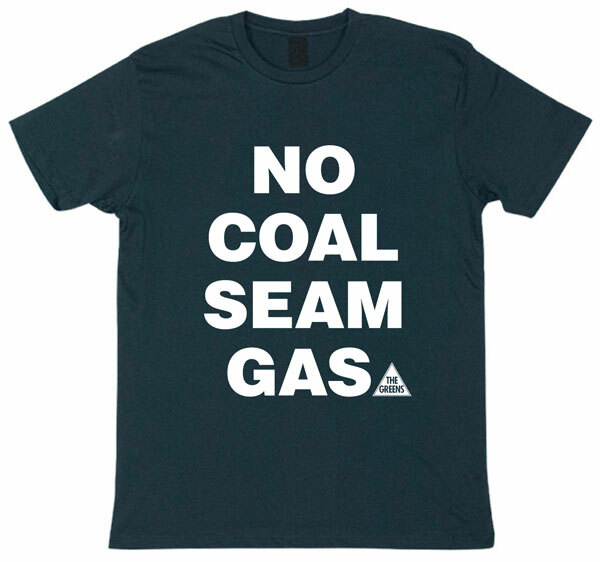 “Driving around many regions of NSW, yellow ‘No Gas’ triangles, Lock the Gate signs and ‘No Coal Seam Gas’ bumper stickers are everywhere. In the last four years, the community uprising against coal seam gas has become the biggest environmental and social movement seen in NSW for decades. “Santos’ Narrabri gas project appears dead. The MOU has expired, Santos have slashed their capital expenditure by hundreds of millions, and the project is on hold as they desperately try to sell down their stake in the project. “The issue of coal seam gas is sure to be a big factor for many voters at the coming election, and the Greens are very proud of our track record on this issue,” he said.